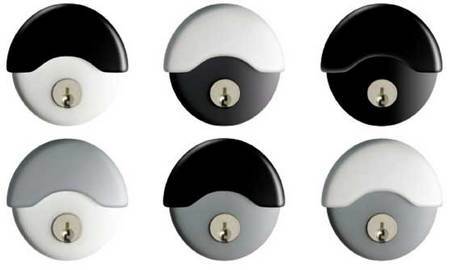 Lockwood 7444 Keyed Pocket Door Locks - Just about SOLD OUT! 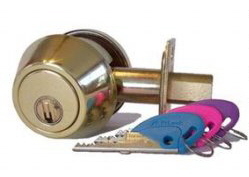 Our very popular Keyed Pocket Door Lock made by Assa-Abloy Lockwood Australia is just about sold out. Our current inventory has been depleted and we have a new order in with Australia, expecting new supplies in a couple of weeks. The popularity of this product has exceeded our expectations, with regular and repeated orders from discerning customers looking for quality hardware at competitive costs. 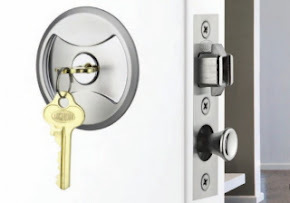 Few competitive alternatives exist in the market that provide a simple to install and operate lock for typical internal cavity or pocket doors. The Lockwood 7444 Keyed Pocket Door Lock fills that need. Installation is simple and straightforward and can even be installed in place of existing standard fittings with a little retro-fitting. Visit our sister site in the source below to learn more about this wonderful and ever popular product. We expect replenishing supplies in a few weeks and apologize for any inconvenience. Recent news from this forward thinking Finnish company, introduces the world to their latest invention. An NFC (near field communication) powered, wireless and battery-less lock cylinder system. This advancement in mechanical cylinder technology, changes things for homeowners, institutions, hospitals, office buildings, doctors surgeries and almost anywhere a mechanical key lock can exist. The iLOQ system is unique and different to other manufacturers creations that predominantly use hard wired or battery powered electronic power systems to provide access control. As shown in the video below, the iLOQ technology is state of the art and can be applied to small, medium and even large complex key systems. iLOQ introduced their new product, a couple of days ago at Cebit 2016 in Hanover, Germany. Following the impressive key powered original system with this new NFC powered product is considered a natural evolution in this unique technology. 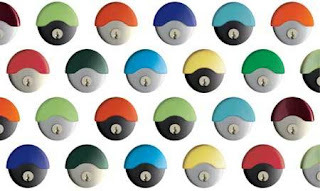 Combina is becoming known as the new flagship product for Serrature Meroni with it's modern appeal and wide variety of color choices, materials, even company embossed personalized logos on door knobs. 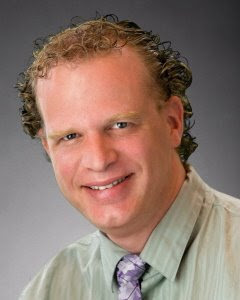 We posted a video on the front page of the Meroni section here, that was taken at a trade show upon it's introduction. There are so many and varied color options with this fabulous product, we will try to include as many as possible below. With Meroni Combina, you can choose the color and material of the bottom part of the handle, separate from the top cover. Top covers can be embossed with a company logo or personalized design that will differentiate you from other companies and homes and can even add a unique personal touch that your customers, colleagues and guests will appreciate. Both pushbuttons are always available as free passage. Locks with push-button that turns on the occupancy indicator if provided. It can be opened on the outside with an emergency key, screwdriver or other similar tool. It can be locked or unlocked on the outside with the key, on the inside with push-button. Outside knob without pushbutton with security plate. Opens only with key. Inside pushbutton always available as free passage. The key from the outside or from the inside locks or unlocks both pushbuttons. It can be locked or unlocked on the outside with the key. Inside pushbutton always available as free passage. Outside knob without pushbutton, opens only with key. The push-button turns on the occupancy indicator if provided. The Invisible Door Stop is designed and manufactured in the USA. 3.5" for typical use on internal hollow core doors. 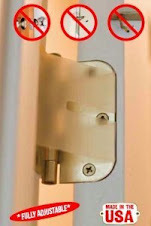 4.0" for typical use on exterior residential doors and some internal office doors.